What Does Code P0206 Mean? The days of carburetors are long gone. Electronic fuel injection has been implemented in cars since the 1980s. Fuel injection offers more precise control over the fuel distribution. This results in better economy, better performance and reduced emissions. 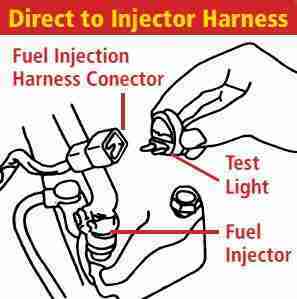 One of the main components in a modern fuel system is the fuel injector. 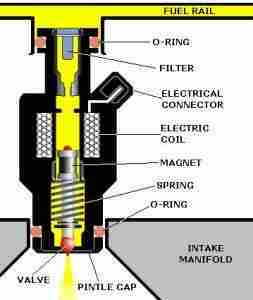 When the solenoid inside a fuel injector is energized, it lifts a valve off inside the injector and fuel is sprayed into the engine. 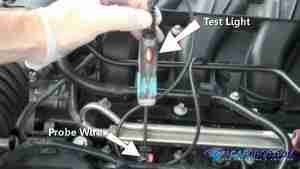 Typically, there is always battery power at one of the two injector terminals. 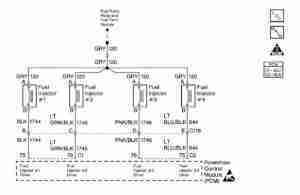 When injection is required, the powertrain control module (PCM) driver grounds the other terminal. This completes the circuit and fuel is sprayed into the cylinder. 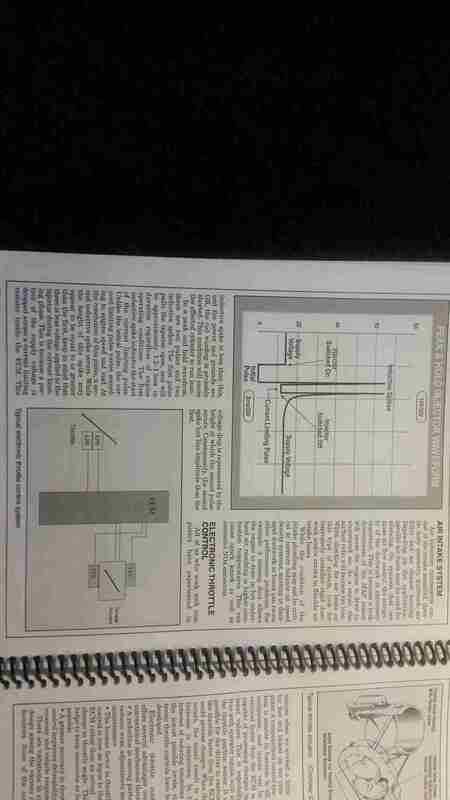 Two of the most common injector driver designs are the “saturated switch” and the “peak and hold”. With the saturated switch, maximum current is applied to the injector while it is opened (pulsed). On the other hand, the peak and hold design allows maximum current to flow just long enough to open the injector. After that, the current is reduced to the amount needed to hold the injector open. The code P0206 stands for Injector 6 – Circuit Malfunction. This means that the PCM had detected a malfunction in this injector circuit. In other words, the PCM commanded the injector on/off but did not see the subsequent change in electrical current. What are the common causes of code P0206 ? What are the symptoms of code P0206 ? In addition to an illuminated check engine light, symptoms may include: an engine misfire, an engine that stalls and an engine that cranks but doesn’t start. Other codes, such as misfire codes, often accompany code P0206. How do you troubleshoot code P0206 ? Perform a visual inspection of the injectors and connections. Many problems can easily be found in the harness and connectors. So, begin your diagnosis by visually inspecting the sensor and its connection. First, check for other codes that would indicate cylinder misfire (P0301 – P0308). If a misfire code is present, there’s a good chance the injector fault is on that cylinder. If no misfire codes are currently stored, you can check the misfire counter PIDs (if you’ve got a capable scan tool and your car supports these parameters). 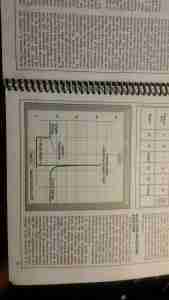 These PIDs will help determine which cylinder is misfiring. Finally, you can check for cylinder misfires using Mode $06 on your scan tool. Mode $06 gives the actual counts for misfire on each cylinder. However, the information may be presented in using reference codes you have to translate using specified tables. This is an advanced strategy best left to professionals. 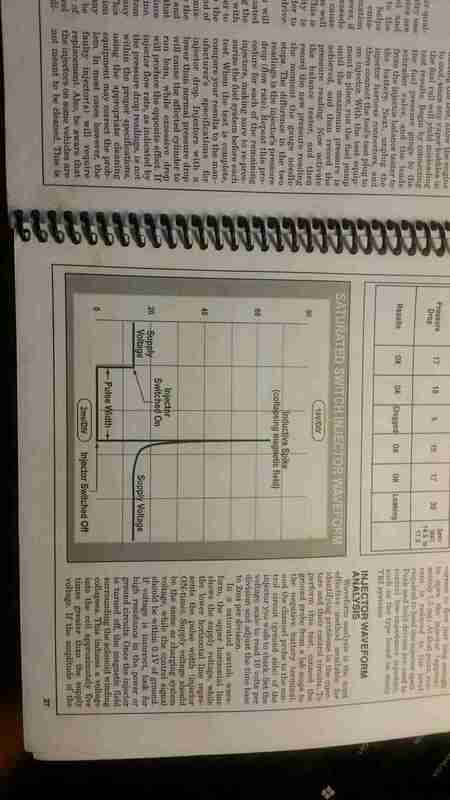 Once you’ve determined which cylinder(s) are misfiring, you can troubleshoot the injector circuit for those cylinders. The easiest way to check if the control circuit to the injector is good is by using a noid light. You simply disconnect the injector and insert the light into connector. If the noid light flashes when cranking the engine, the control circuit is functioning properly. If the noid light does not illuminate (or is comes on but doesn’t blink) there is a problem. 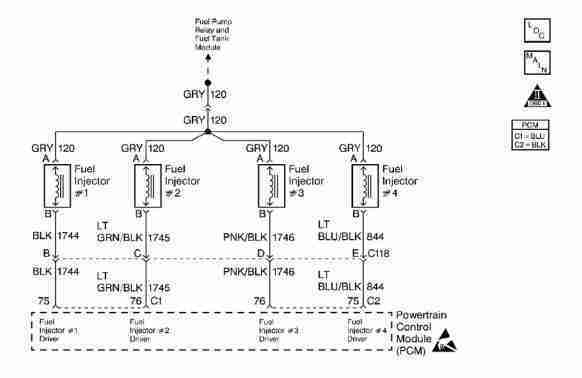 Either the injector is not properly grounding the circuit, or there is no power to the injector. This can easily be checked using a simple test light. Attach one end of your test light to ground and touch the other to the B+ pin on the injector connector – the tight light should illuminate. If not, consult the factory wiring diagram and repair the power side of the circuit as necessary. Next, check that the PCM is properly grounding the injector. Attach one end of your test light to battery power and the other to ground side of the injector connector. When the engine is cranked, the test light should illuminate. If it does not, there is a problem with PCM or the wiring to it. 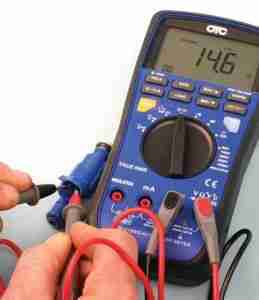 You can check for continuity between the PCM and injector using a digital multimeter set to ohms. Touch one end of the meter to the harness side of the injector connector and the other to the injector driver pin on the PCM. An over limit reading (OL) on your meter, indicates there is an open circuit between the injector and PCM. If however, you do not get an over limit reading, the PCM is likely the problem. Note: it’s important to check all injector resistance values before installing a new computer. An injector that has a resistance value outside the manufacturer’s specified range can draw too much current, damaging the driver inside the PCM. If the circuit is OK, the next step is to test the electronic portion of the injector. This is done by measuring the resistance between its two terminals. The manufactures resistance value specifications can be found in the vehicle repair manual. Of course, an over limit reading (OL) on your meter, indicates there is an open circuit and your injector requires replacement. Sometimes, however, a static resistance test is not enough to pinpoint a bad injector. The best tool for determining injector health is a digital oscilloscope. Using a scope, you can view a waveform pattern of the injector circuit operation. By comparing the waveform on the screen to that of a known good injector, you can quickly pinpoint injector circuit faults. 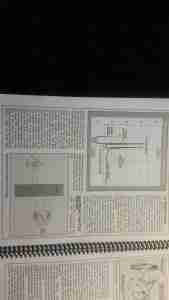 97 Cadillac Seville Multiple error codes and symptoms CRAP!! I would suspect the injector itself if the circuits are good between the ECM and the injectors. Test the injector for resistance first, comparing it to the rest of them. An oscilloscope will give you a definitive answer. Once I had a Toyota V6 with a random misfire in one cylinder and an injector circuit code. Using the mechanic’s stethoscope, that injector didn’t sound quite like the others. The ‘scope gave me a picture of how the voltage was reacting in the injector, and its signature was also a little bit off from the rest. Replaced the odd injector and everything was back to normal. This was extremely helpful…I found my # 6 injector negative wire broken thru at and near injector 6 inches from injector.. Probably a mouse chewed thru it.. When I tested I had no pulsing negative. THANK YOU, SAVED ME BIG BUCKS!!! !